Figure 4-6 displays a simple one-router network with two Ethernet LAN interfaces connecting users on subnet 131.108.1.0/24 to the server IP network, 131.108.2.0/24. Example 4-40 displays the working configuration file on R1 numbered from line 1 to 25. 1 The network administrator enables the debug ip packet command on Router R1, but no output is seen when connected to the console. 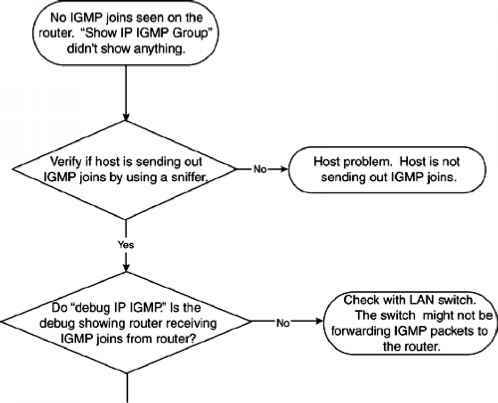 IP traffic is following correctly from Ethernet0/0 to Ethernet0/1. What is the likely problem? What IOS configuration change is required to rectify the fault? 2 There are a number of configured aliases. What alias will display the Ethernet interface statistics for the Ethernet interface labeled Ethernet0/1? 3 When the following command is entered at the privilege EXEC prompt, what will the output be? 4 What is the password of Router 1 that enables a network administrator to make configuration changes? 5 What debug command can be used to debug IP packets' source from the address 131.108.2.100 to the PC with the IP address of 131.108.1.100. 6 A user telnets to Router R1 and runs the debug command, debug ip packet. 7 What is the configuration register of the router in Figure 4-6? 8 What is the VTY password required for Telnet clients logging into R1? 9 What does access list 1 accomplish in line 12? 10 What Global IOS command would encrypt all passwords configured on R1 in Figure 4-6?